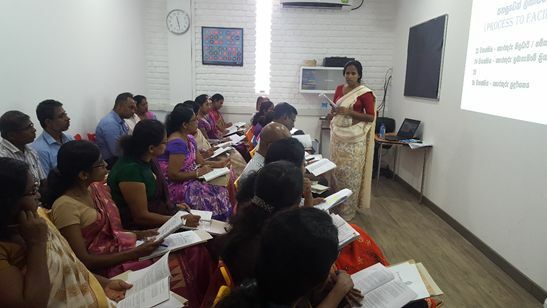 On the 27th February 2018 a training program on RTI was conducted for the Information officers, Designated Officers and other officials from various public authorities in the Matara District. The program was geared towards instilling a receptiveness to open governance, accountability and public participation in government processes in the officials present. A video clip of a street drama on RTI was shown to the participants and pursuant to a group activity the officials identified obstacles to smooth functioning in the public sector and solutions thereto. The program yielded responses from the participants to the effect that public authorities should grant access to information to citizens even in the absence of RTI.